Let me start by saying that my partner—both in life + work—100% hates the name of this band. To be fair, Milky Wimpshake is a terrible name. I personally have this weird, visceral aversion to any mention of food in most non-food nomenclature. As soon as the idea of food or eating enters the gestalt of, say, music, in the form of band names like Archers of Loaf or G Love & Special Sauce or—yes—Milky Wimpshake, I usually immediately sign off. But Milky Wimpshake, despite their name, stand as a superb example of mid-90s Brit-twee-punk, a genre that never truly took off in the mainstream, which was fine by most of its practitioners. 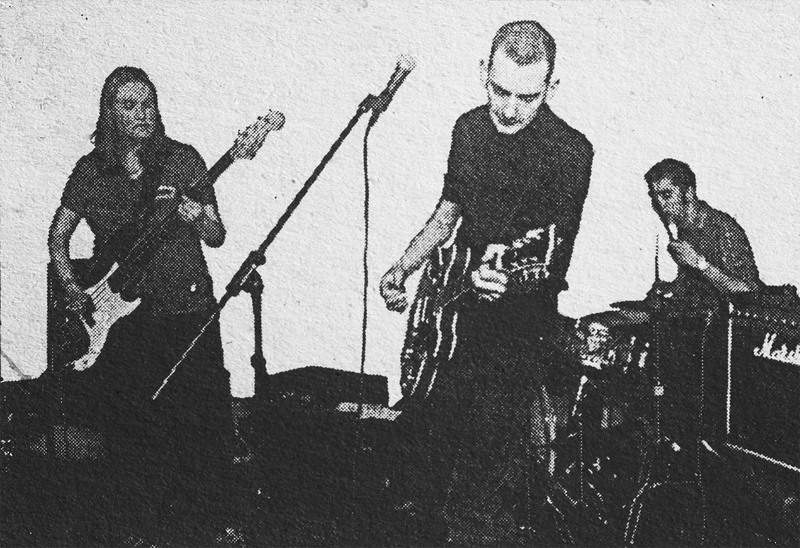 The band originated in Newcastle Upon Tyne and was supported by its core members, singer + multi-instrumentalist Pete Dale and bassist Christine Rowe, with a rotating line-up of drummers through the years (one of whom legally changed her name to Ms. Joey Ramone). 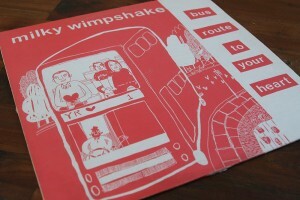 Wimpshake was a lighthearted gem amongst the otherwise oft-overly-serious 90s indie punk scene in Britain, championed by the indispensable DIY punk + riot grrrl label Slampt, who put out many singles + 7″s by the band and released their debut full-length, the cutely titled Bus Route to Your Heart. Pete’s actually built a really deep site largely devoted to the history of the band, including a bank of song lyrics and live + studio MP3s or pretty much everything. Get your mid-90s-Brit-twee-punk on, man.